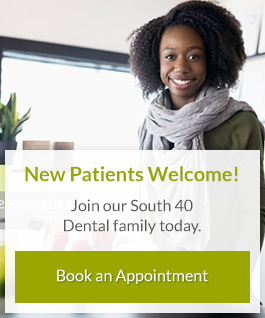 The dental hygienists at South 40 Dental provide personalized, friendly and professional hygiene treatment to patients in Grande Prairie. Dental hygienists are oral health care professionals. They clean teeth and examine patients for signs of oral diseases such as gingivitis. They also provide other preventive dental care and educate patients on different ways to improve and maintain their oral health. Chantelle was raised in Niagara Falls, Ontario. She has been in the dental field for over 9 years and began her career as a Dental Assistant. After gaining experience in General Dentistry, she received a degree in Dental Hygiene from Niagara College. After spending three years in the as a hygienist, she decided to build on her skills and return to school to receive a specialty degree in Restorative Dental Hygiene from George Brown College located in Toronto, Ontario. In 2014, Chantelle moved to Alberta to join the South 40 Dental team. Her role at South 40 Dental is performing restoration procedures and being a hygienist. When Chantelle is not at work, she loves to take off into the mountains. She enjoys outdoor activities such as backpacking, dirt biking and camping. She is a lover of anything old, the Christmas season, chocolate ice cream, and photography. Carli is a registered dental hygienist at South 40 Dental. In 2013, she received her dental hygiene diploma from the Regency Dental Hygiene Academy located in Toronto. She was born and raised right here in Grande Prairie, Alberta and has been in Grande Praire her entire life, aside from attending college in Toronto. Her favourite part of being a hygienist is getting to know each patient’s specific needs and helping meet those individually. She also enjoys the opportunity to help patients understand why complete oral care is so beneficial to their overall health. Carli loves being a part of the South 40 Dental team! "It is very gratifying to me as a hygienist to give care to my patients in a calm and caring atmosphere," she says. Outside of work, she enjoys spending time with her friends and family, including her husband and two dogs. Carli has a passion for travelling, and is always planning her next big adventure! Bobbi just recently moved to Grande Prairie, and so far, she loves it here! She loves outdoor activities, such as camping, dirt biking, mountain biking and travelling. Bobbi is always up for new experiences! She decided to work at South 40 Dental because of the great work environment. Want to know Bobbi's best part of her job? Well, it is always interacting with patients and giving them the best dental experience possible. Heather moved to Grande Prairie 4 years ago from Victoria to join the South 40 team and has happily been a part ever since. Before completing her dental hygiene education, Heather worked as a dental assistant. What Heather loves most about working at South 40 is the great team! Besides working with her patients to achieve optimal health, Heather loves any sort of outdoor activity. She enjoys adventuring with her husband and two dogs, experimenting in the kitchen, travelling, and making time to head back to her family on the west coast! Her most treasured experience as a hygienist was getting the opportunity to travel to a small community in Mexico for a month to provide dental care.